Glamping is like camping but more convenient and you don’t need to have any survival skills to enjoy your stay in a tent in nature. When you arrive, everything is already set up for you. All you need to do is to drop off your bags, put your swimming gear on and start the holiday! No hustle with setting up the tent, and as a bonus you get to enjoy a hot shower in your private bathroom. So a few weeks ago, we made a trip to Robertson, which is about two hours drive from Cape Town. 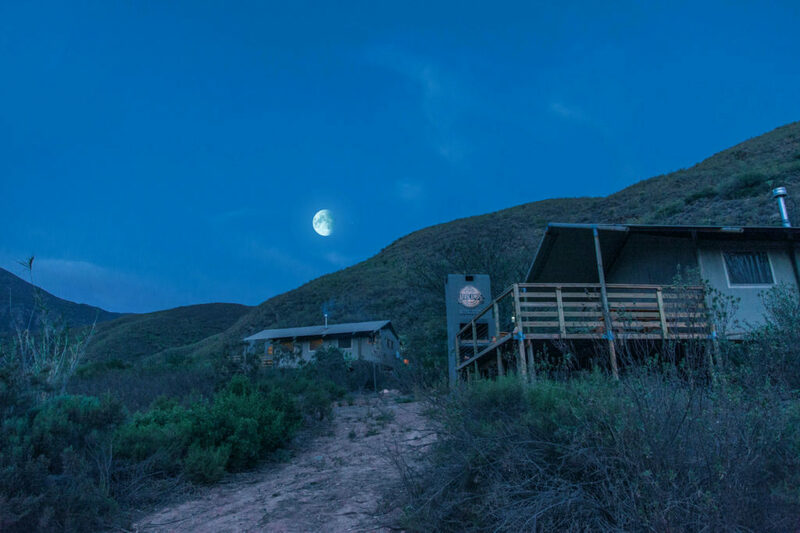 We wanted to have a relaxing few days by the nature and what could have been a better option than glamping at AfriCamps at Pat Busch Mountain Reserve! 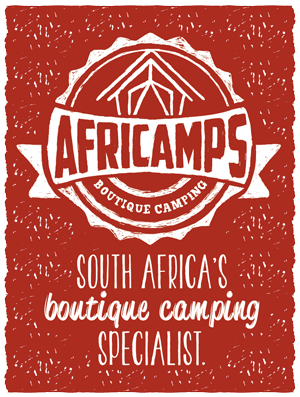 AfriCamps has a few different locations around the Western Cape region, where they offer accommodation in fully equipped luxury glamping tents. The tents are spacious (sleeps up to 5 people) and have modern kitchens, bathrooms and an indoor fireplace making the stay very comfortable. 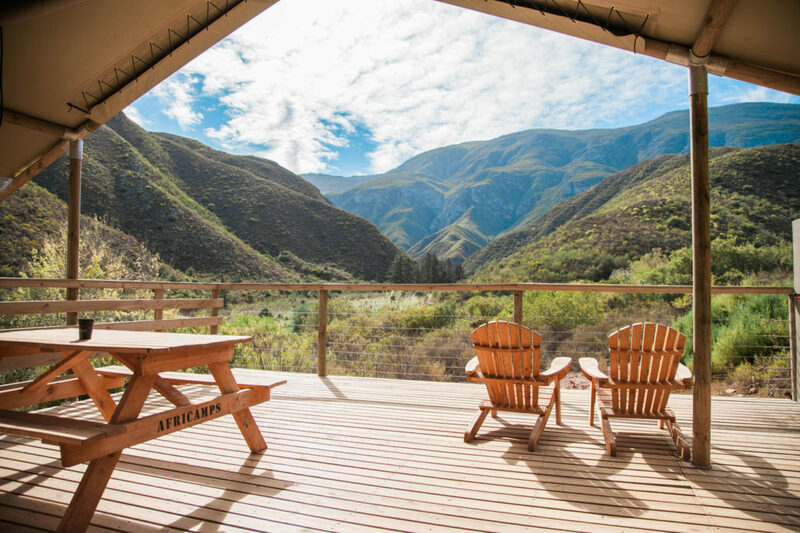 The outside terrace offers a private spot to relax and braai (the word used in South Africa for barbecue) with amazing views to the mountains. 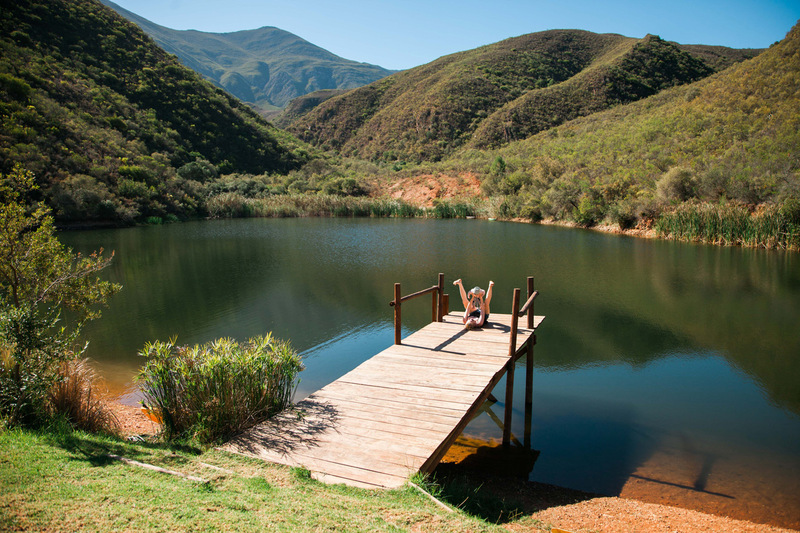 At the Pat Busch Mountain Reserve there are also a communal pool and a small damn where guests can fish (catch&release), swim and do canoeing. It’s great for families with small kids but also couples or groups of friends. We didn’t see a lot of wildlife but our tent came with a pet cat! He came to greet us in the first morning and made regular visits to us everyday. Especially if it was lunch or supper time, and in the morning he really liked my heated blanket. For these three days, we were busy doing absolutely nothing. We did plan to do hikes (the hiking trails start straight from the property) but since we were enjoying too much our amazing tent and the peace and quietness around us, we decided to forget all plans and just be. Take a look at the full article to see some amazing photographs by Miguel Oliveira for Chapter142. Guest post by Anni from Chapter 142, you can follow more of her posts about conscious living here.